This entry was posted on Tuesday, May 10th, 2016 at 3:22 pm and is filed under Uncategorized. You can follow any responses to this entry through the RSS 2.0 feed. You can leave a response, or trackback from your own site. Didn’t you get a present from your timetraveling son? 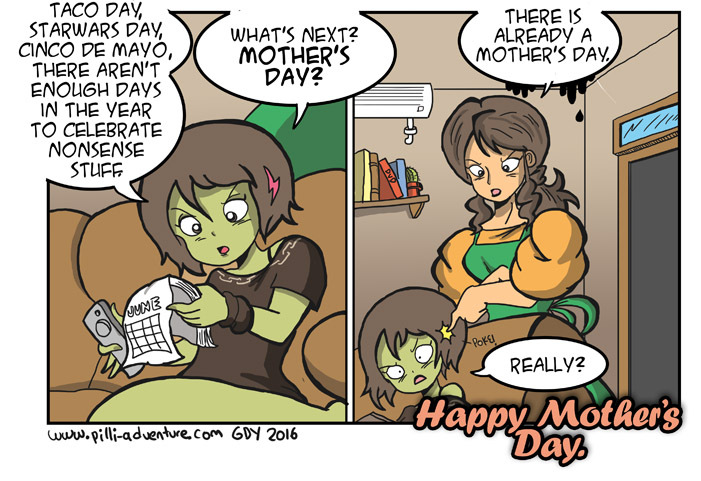 btw she should have a question mark after mother’s day. otherwise it sounds like she’s saying “mother’s day is next” like she’s aware of it.